If there is one thing that always goes down a treat at Christmas time, it’s art and craft gifts. Parents love them as they keep kids entertained without the need for screen time, and kids love them because they can unleash their creative juices. We have found a great selection to inspire the young artist in your household, from toddlers through to older kids who can safely handle scissors and sewing needles without intervention. 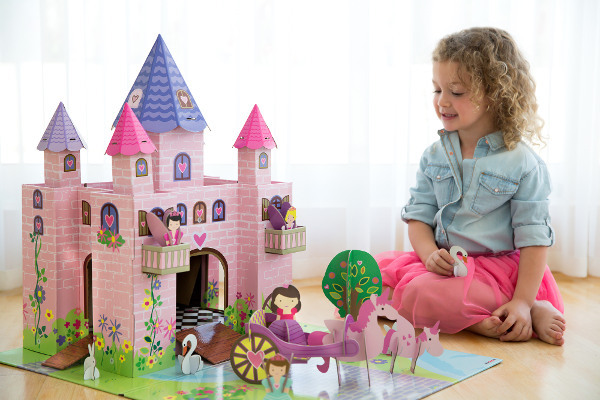 The Trinny Fairy Princess Castle Playset from Kroom is one of those toys that inspires imaginative play. A huge foldable play mat with a castle and fairy princesses awaits, flat-packed in a box and easy to assemble with no tools required. First children get to build it, then there’s endless hours of imaginative play. It is made from durable re-inforced laminated cardboard with a waterproof coating- strong enough for hours upon hours of play and eco friendly. The set is available for $49.95 from The Stork Nest. Budding artists and colourists will love the Marker Maker from Crayola. An ingenious kit that allows kids to custom make their own uniquely coloured markers, the kit comes complete with the Marker Maker unit, components for making sixteen markers, three bottles of ink (red, blue, yellow), a colour mixing guide, marker labels and two storage boxes. 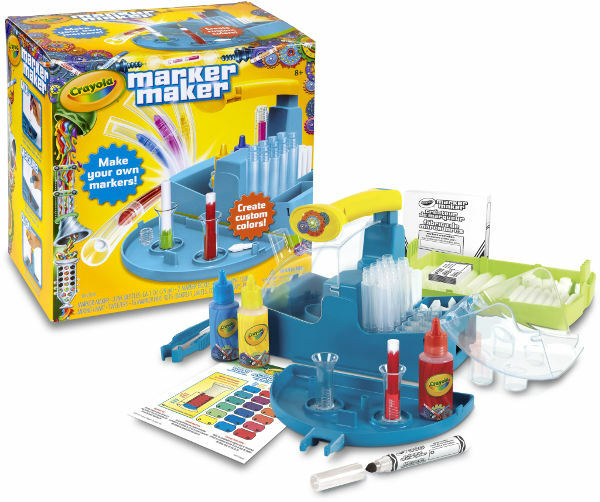 The Marker Maker is available for $30 from leading toy retailers. For the creative writer in your household, the Dear Little Letterbox from Woolfie. 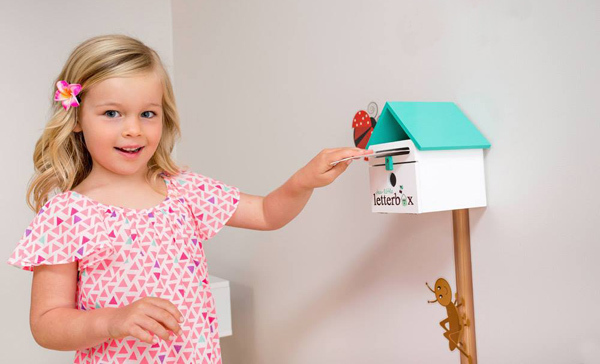 The Dear Little Letterbox comes packaged with a notepad, coloured pencils, sharpener, little envelopes and a sticker set, everything needed for letters to friends, family, Santa and the Tooth Fairy. It also comes with wall mounting supplies for the letterbox. It is available for $39.95 from Woolfie. If you have a prolific drawer in your house, as I do in mine, you will love the Doodle Magic mat from Crayola. 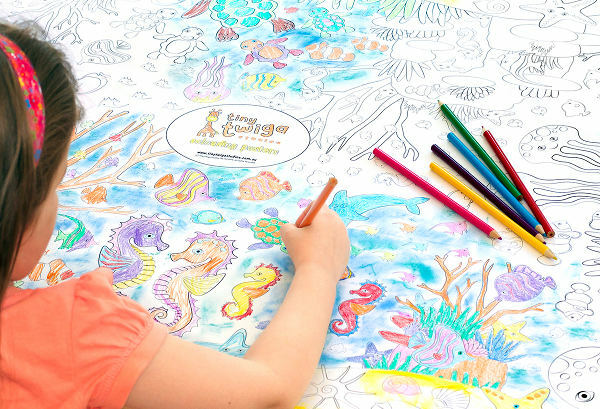 A huge 60cm x 90cm colouring surface that rolls out for hours of worry-free creativity on the floor, wall or on-the-go. Crayola Doodle Magic Ink provides colour that cleans off the mat simply with water, and the surface can be used over and over again. 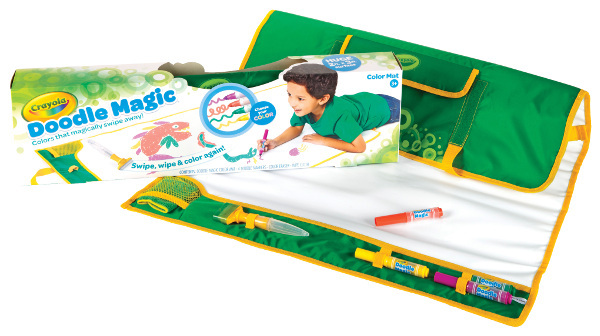 The Doodle Magic Colour Mat Pack is $29.99, includes the mat, four Doodle Magic Markers, a colour eraser and wipe cloth and is available from leading toy retailers. 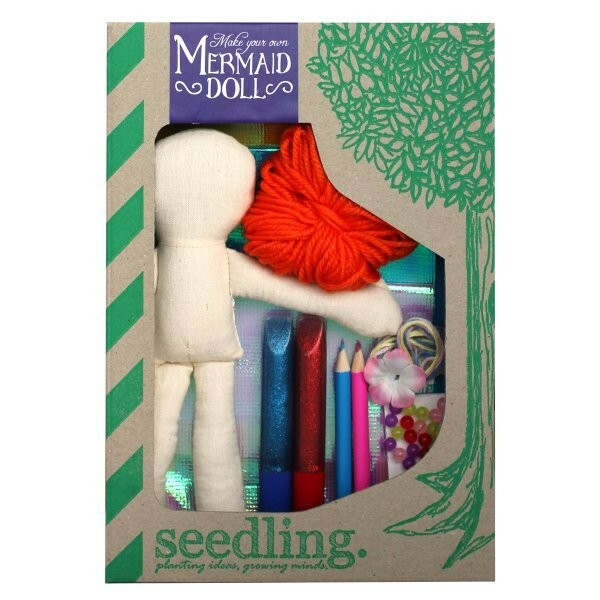 Seedling, the well known New Zealand company, specialise in providing a creative outlet for kids and enable them to make just about anything, including this Make Your Own Mermaid doll. This Seedling Kit contains a blank doll, mermaid hair, beads, thread, needle, coloured pencils, shimmery fabric for the tail and instructions. It is recommended for kids aged at least fivs as it requires sewing. although younger children can tackle it with an adult’s help. It is available from Entropy for $24.95. 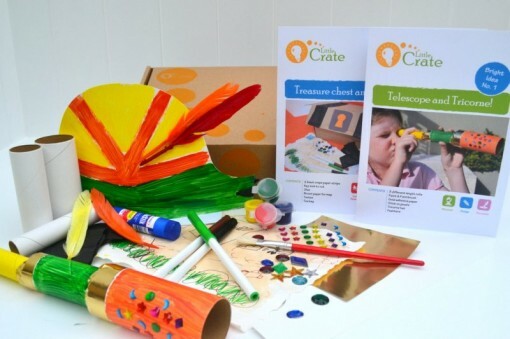 For the younger crafters, the Explorer Crate from Little Crate would make a tremendous gift. A box filled with all the craft essentials needed to create a map, telescope, explorer hat and treasure. Even the box it comes packed in can be used to create a treasure chest! Little Crate can even send a version with enough craft goodies for two kids to take part in the fun. It is $29.95 from Little Crate. 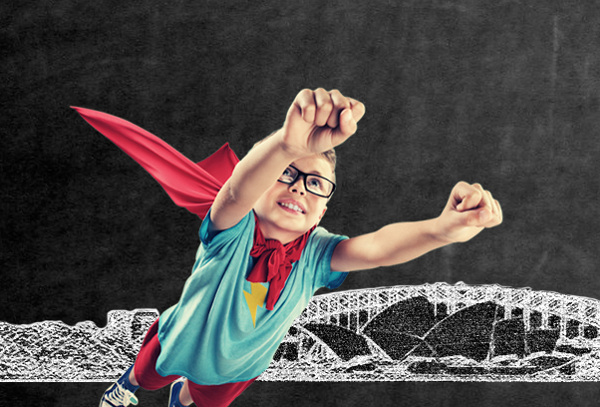 Combine your child’s love of craft with their love of superheroes with the myHoopla DIY Superhero cape pack. Available in red or blue, the pack comes with felt hero mask, a satin superhero cape, glitter pens and a set of self adhesive ‘superhero’ felt shapes, for your little superhero to rescue the world with their own personal style. It is $28.95 from Woolfie. For those with kids who loved play dough but are now growing out of it, you must try Super Clay from Tiger Tribe. Super Clay is smooth to the touch, easy to mould, does not leave any mess (oh, the glory! ), air dries so that creations can be displayed on the shelf almost indefinitely without fading or crumbling, and, with a spot of water, is completely re-usable! 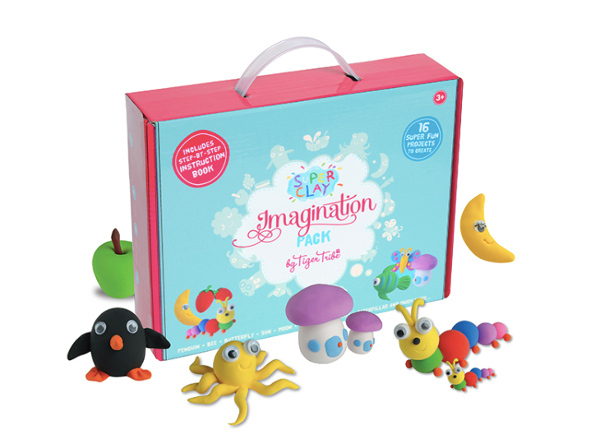 The Imagination Pack costs $24.95 and comes with six mini tubs of clay, a book full of project ideas, some googly eyes and a tool set. When it comes to screen-free rainy day entertainment, or even just a quiet activity for Christmas afternoon, it is hard to go past the colouring posters from Tiny Twiga. Suitable for younger and older kids, smaller hands will enjoy finding the different shapes and objects to colour, while older kids will love the finer details. Uniquely designed to be coloured from any side they provide hours of colouring fun. A massive 1000mm x 720mm, the poster themes include meerkats, starfish, fairies and robots. They are $14.95 and come packaged in a cardboard tube which can be upcycled for its own craft activity, recycled or used to store the poster while it is being coloured. Little kids love trains, and with the Decorate Your Own Train Set by Melissa and Doug they can take pride in their own creative version! 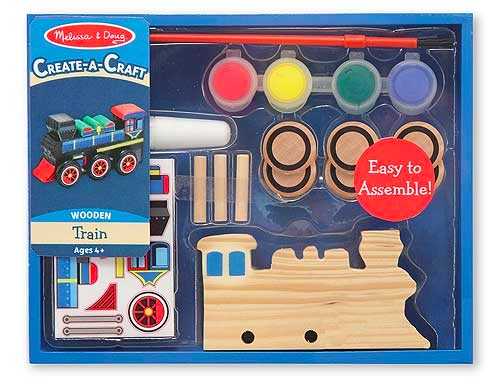 Each kit comes with a wooden train, wheels, paints, brushes, glue and stickers. Once it is decorated, it is easy to assemble and display. It retails for $12.90 and is available from Classic Baby. 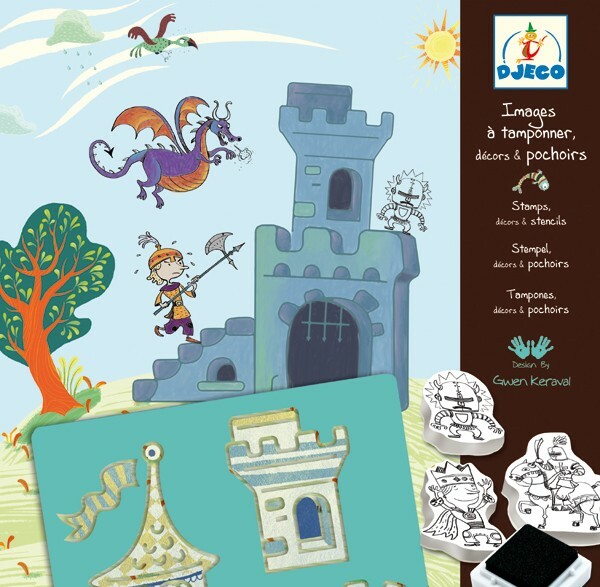 Unleash your child’s creative side with the Djeco Create a Story Stamping Knights kit. Kids create their own story for the knight, and decorate and illustrate it with the stamps included. This craft set contains ten stamps, an ink pad, three stencils, twenty printed sheets and one booklet. It is $34.95 from Where Did You Get That?